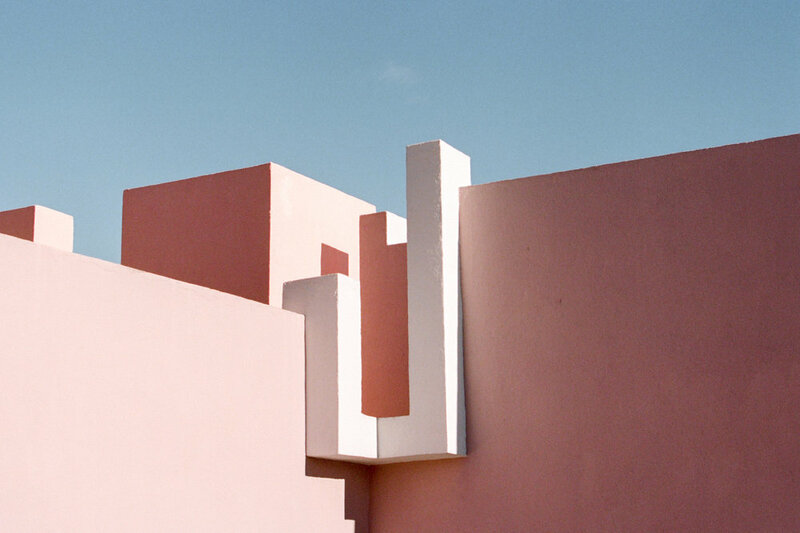 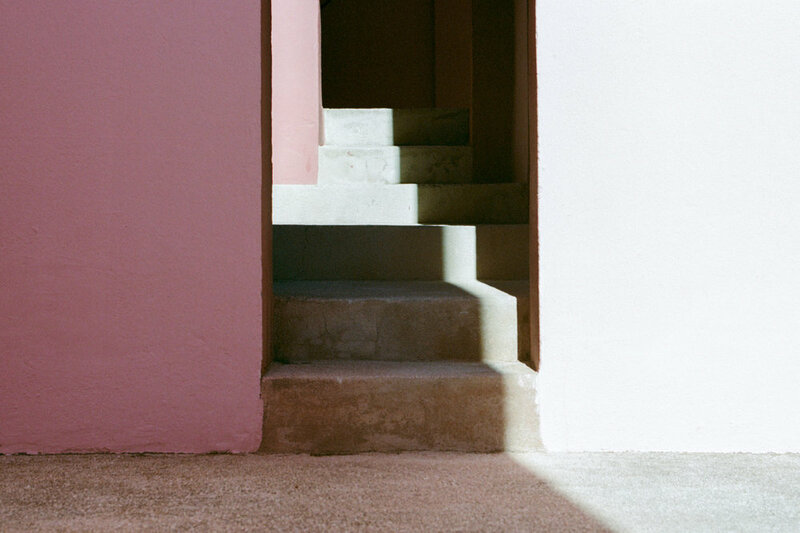 This series was shot in January 2017 at La Muralla Roja, a housing project built by Riccardo Bofill in 1968 in Calpe, Spain. 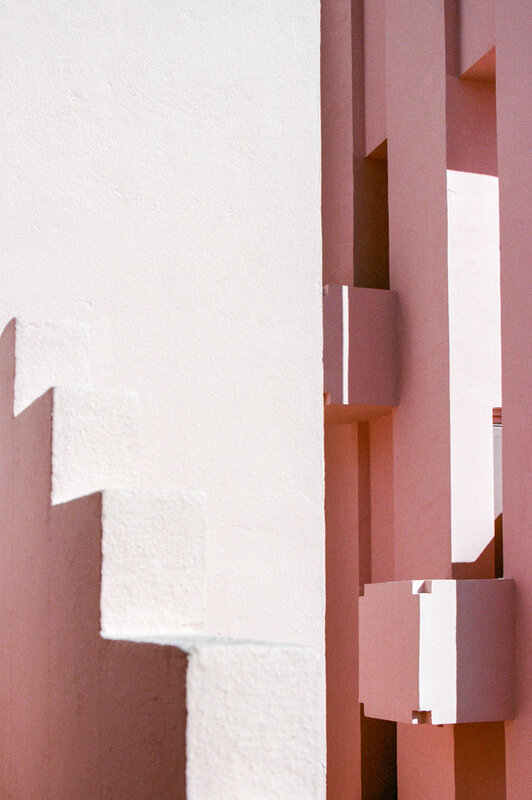 La Muralla Roja, a fortress-like building standing proud on her cliff, clearly evokes islamic architecture and moorish buildings. 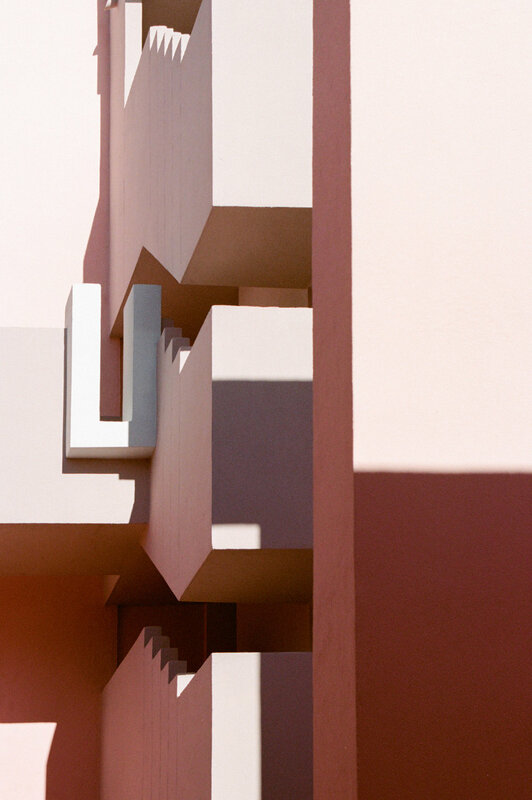 By stripping it of ornaments and concentrating on a staircase pattern, Bofill managed to reinterpret the structure of the casbah in a playful and minimalistic way that is a feast for the eyes. 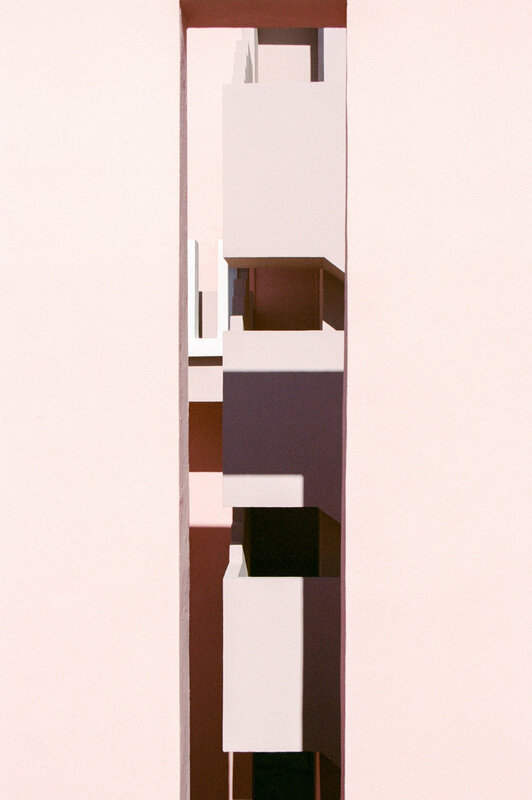 This body of work aims to illustrate Bofill's reinterpretation of the casbah while showcasing the Moralla's hypnotising exotic minimalism. 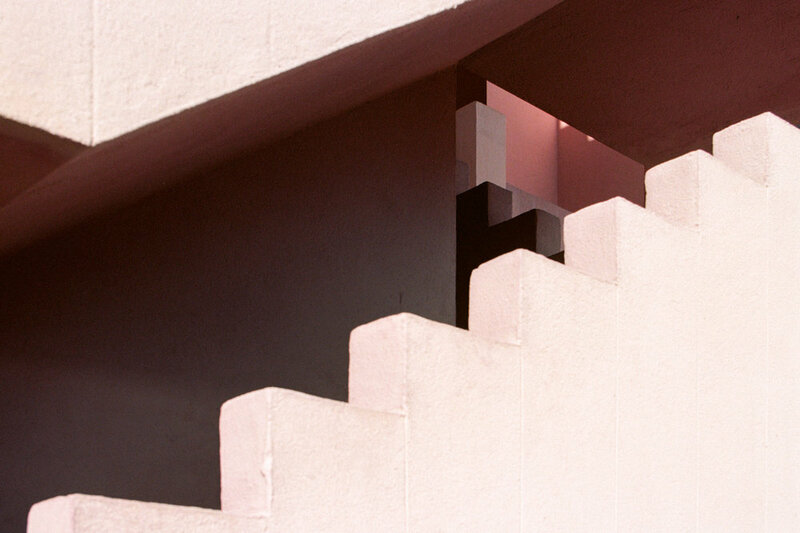 It also aimed to emphasise nature's understated beauty by contrasting it with man-made straight angles and geometric patterns. 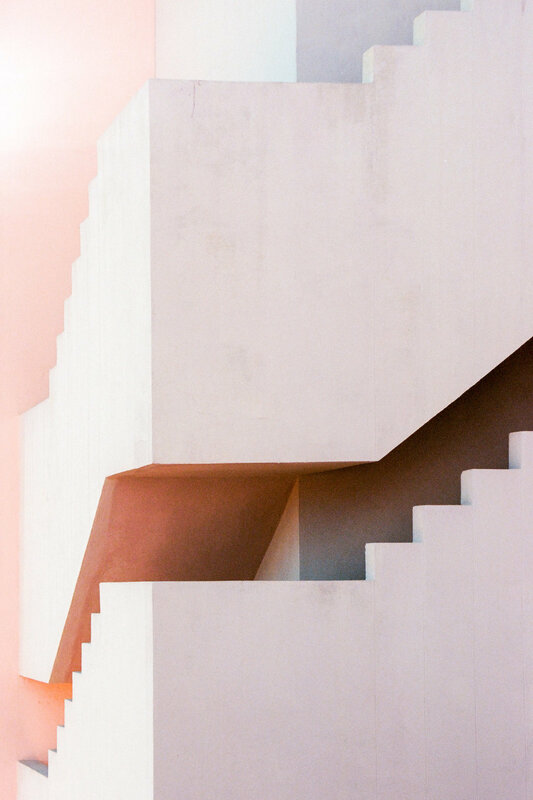 While some images called for midday-light and strong contrast, Morgane felt some of the architecture's textures would benefit mostly from airy, bright photographs. 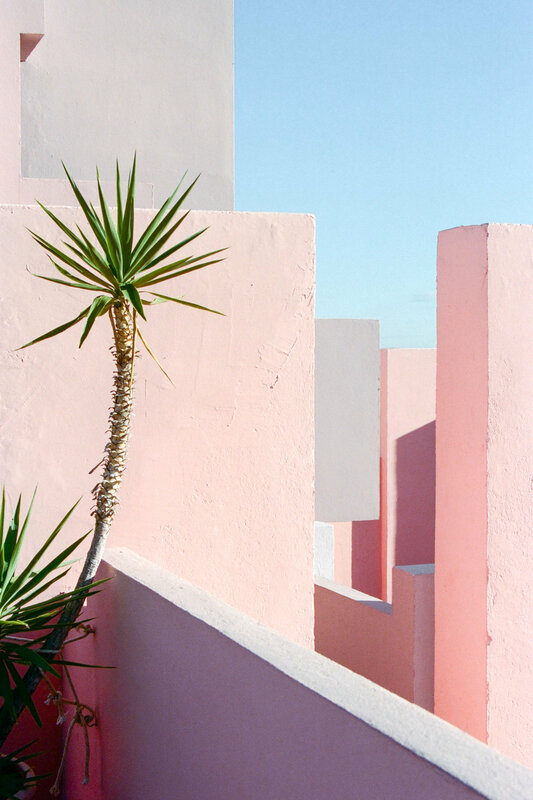 The negatives have also been scanned in order to give the images a colder look to bring out the shades of blue of the water and the pinks and purples of the buildings. 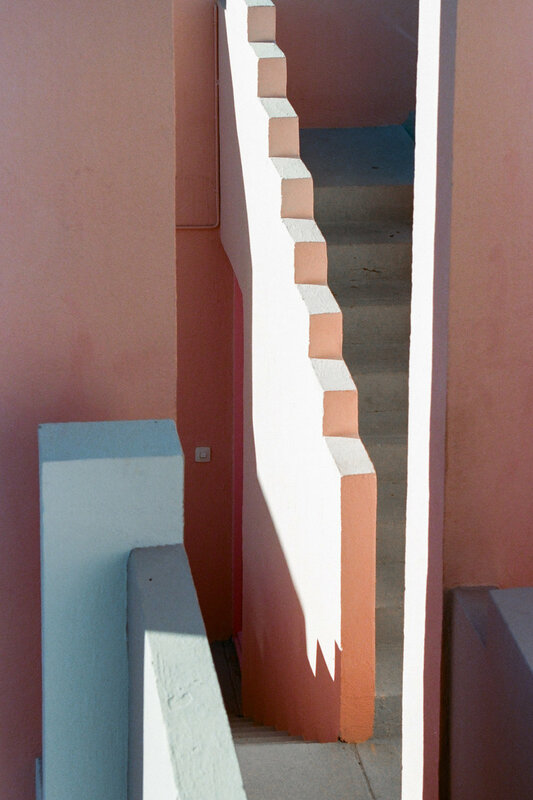 Please note that none of these pictures were taken while trespassing, as we were staying in the building in a flat we had rented.